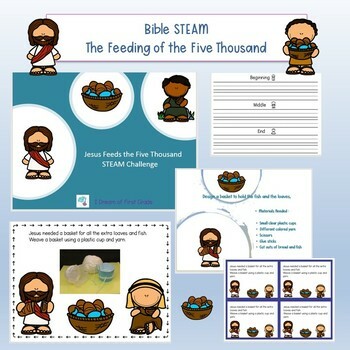 Make a Bible lesson come alive with this fun STEAM project. 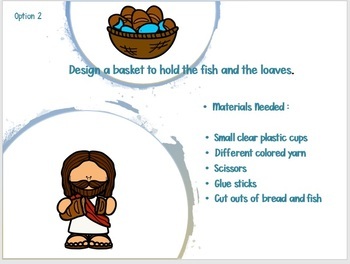 After listening to or reading the Bible account, the students will craft a basket to hold the extra fish and loaves. Students can also practice Sequencing with pictures or sentences. 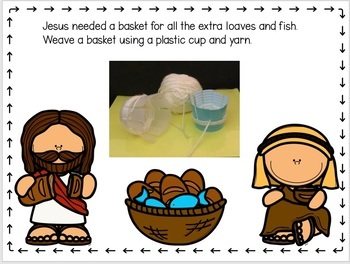 You can even have them act out the account with pictures or make them into puppets !